Just because it’s hot outside doesn’t mean you can’t have dessert! 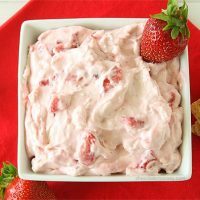 This fluffy, easy no bake Small Batch Strawberry Cheesecake Dip makes a great party snack for your summer parties. It’s here! It’s here! 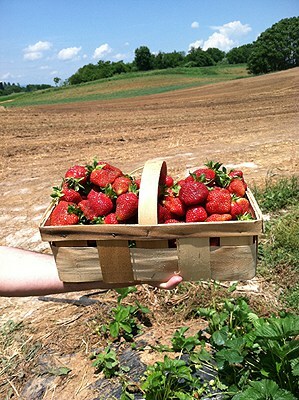 Strawberry picking is finally here in PA! It’s about a week or so later than usual, mainly because of the wacky weather we had for 2013. Every year for the past too many, Dad and I always go strawberry picking. 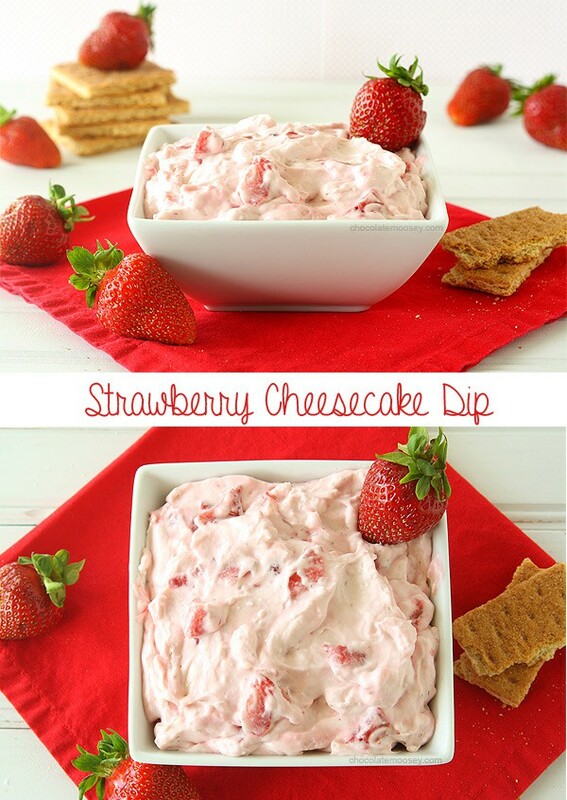 One of the first things I ended up making was this Strawberry Cheesecake Dip. The idea has been on my mind for the past few months, and I finally have fresh strawberries to make it. Instead of turning the oven on in the 80+ degree weather, I made a lazy no-bake cheesecake in a bowl – cheesecake dip with both pureed and chopped strawberries in it. Dad and I almost always go to Triple B Farms for our pick-your-own produce. However, because I moved three years ago, we have to plan around when I visit. Normally that would be Memorial Day weekend, but they weren’t ready this year. So instead, Dad visited me and we went to The Drying Shed. Here you bring your own container, check in at the weigh station, and off you go to the field where one of the workers assigns you a row. 30 minutes later, we came back with 5.57 pounds of strawberries. At first glance, it seems like a lot of strawberries, but I’m already halfway through the basket. I already made strawberry sauce to top French toast, a strawberry rhubarb hazelnut crumble, and a semi-failed shortcake (I put too much batter in the pans). 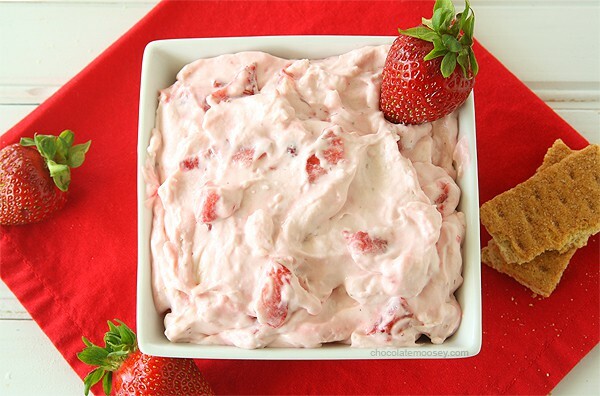 Then of course this very successful Strawberry Cheesecake Dip. You can eat it with graham crackers, fresh strawberries, pretzels, and/or a spoon. Spread it on top of your bagel or a slice of angel food cake. Or if you really want to be fancy, layer it into parfait glasses with cubes of cake (angel food, sponge, and pound cakes come to mind). 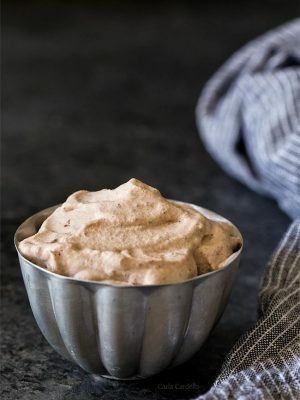 If you’re looking for a quick summer dessert for your next potluck or get together, you need to make this cheesecake dip because it takes no more than 30 minutes to make the dip (and an hour of chill time, but there’s no effort on your part for that) plus there is no need to turn on any heat, not even the stove. I think we can all agree that it doesn’t get better than that, right? Just because it's hot outside doesn't mean you can't have dessert! 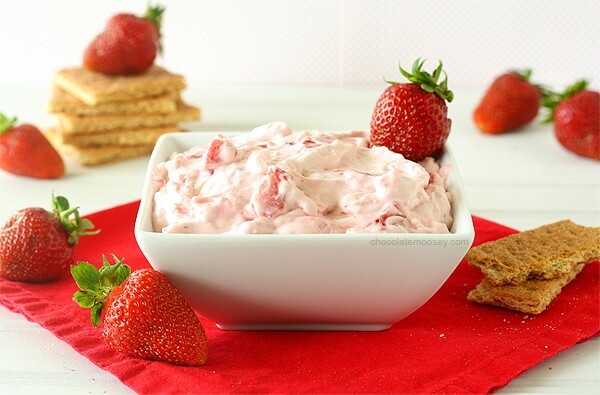 This fluffy, easy no bake Small Batch Strawberry Cheesecake Dip makes a great summer snack. In a blender, puree 1/2 cup strawberries. Strain to remove seeds. Set aside. In a large mixing bowl on medium-high speed (with whisk attachment if using 5 quart stand mixer), beat the heavy cream until it starts to thicken, about 1 minute. Transfer to another bowl and keep cold in the refrigerator. 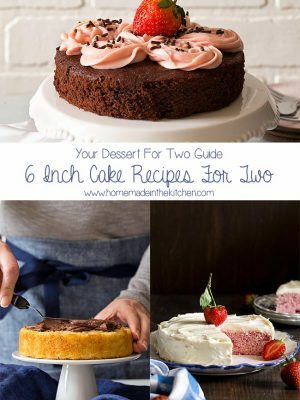 In the same mixing bowl (no need to clean bowl - switch to paddle if using stand mixer), beat together the cream cheese, granulated sugar, and remaining 1/4 teaspoon vanilla until smooth and creamy, about 1-2 minutes. Scrape down the bowl then beat in the pureed strawberries. 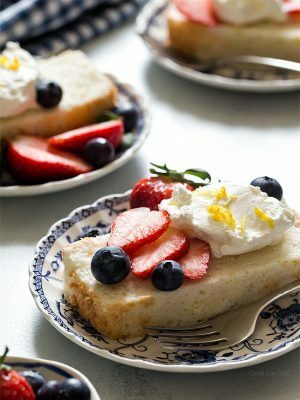 Fold the whipped cream into the cream cheese mixture until fully incorporated. Fold in the remaining chopped strawberries. I don’t remember picking berries as a child, but I did take my girls whenever there was an opportunity. In fact, when we lived in France, there was a farm about half an hour from our house where you could pick all kinds of produce. We would come home with baby zucchini and thin green beans and tomatoes, etc. We loved it! It doesn’t get any fresher than when you pick it yourself. I’ve only ever picked fruit before, never veggies. There is a veggie farm I can do pick-your-own, but I havent made it there yet. My mind is reeling with what I could dip in here! Sadly I think strawberry picking season is almost over here. I went earlier in May. I’m always surprised how fast I pick way too much and end up going home and wondering what to do with it all. 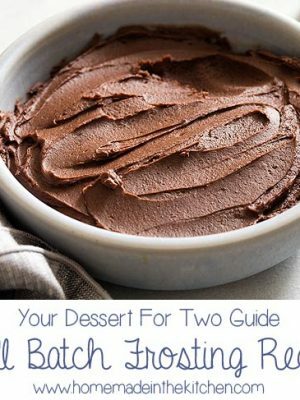 Love this no bake treat for the heat! Yea, I think TN strawberries are ready a lot sooner than PA strawberries. You can always buy frozen berries and thaw completely before using. That would be so good on a bagel! What refreshing dip. That was a lot of strawberries you picked. Omg yes to everything about this dip. Easy, no oven and freaking delicious: it’s the trifecta of what makes a perfect summer dessert. I see myself eating this with a spoon. I think that’s the proper way to do it. Or fingers! But spoons are more sanitary. This makes me want to find a you-pick farm nearby! The dip looks amazing! It’s definitely worth it, and you cant get fresher than that! How can it be I was just thinking about some type of strawberry spread, earlier today?! 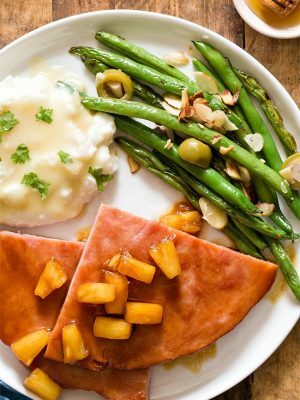 Great post and beautiful photos! Great minds think alike ;) Thanks Dan! I just love this dip. Fruit dips are the coolest thing in the world. I must try this one. It could be a hazard to get between me and a bowl of this dip. I better get out of the way then! My daughter just went strawberry picking–in our back yard!–and I have a bowl on the counter waiting for me. Sounds like you’re ready to make a big bowl of this then! Fantastic suggestion! I love strawberries, and this year I can’t complain: I don’t know what’s happening in my parents’ garden, but they have had strawberries all year, which is a first (and good, too)! Lucky you! If I had a bigger garden, I would so grow my own strawberries. I plan on making this for my daughter’s 2nd birthday party.It’s strawberry shortcake.Could you make this night before you plan to serve it or is it best to make the day of? 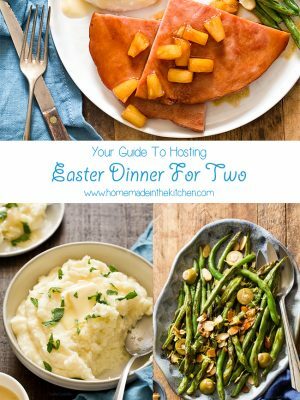 Yes you can make it the night before. WooHoo! I can now make this, now that I have managed to convert the measures! lol…looks lush! Carla, will the dip solidify? if not, any suggestions how to…I’d like to make a cheesecake with it (to fit a 9in tin so would need more adjusting!) … can you help please? 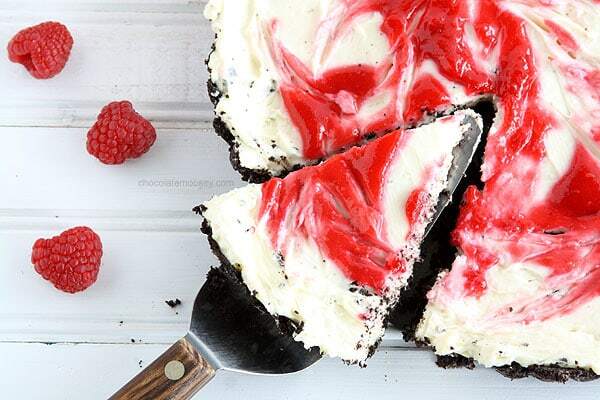 For now, I will make a loose cheesecakey base and have the dip on top, with strawberries mixed with a little jam (I think you call it ‘jello’?) in individual dessert glasses. 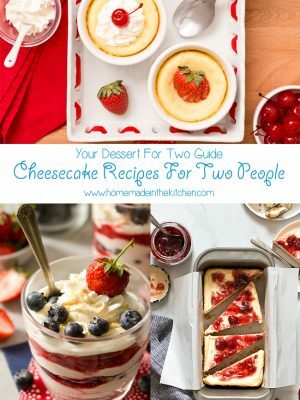 This recipe is for a dip and will not work for an actual cheesecake. 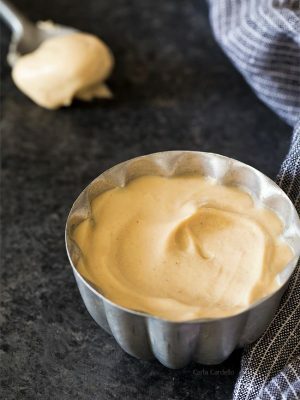 If you would like to make this a cheesecake, go to my no bake recipe: https://www.chocolatemoosey.com/2012/08/17/no-bake-egg-free-biscoff-swirl-cheesecake-guest-post-for-a-culinary-journey/ Do not use the Biscoff spread. Instead, add strawberry puree and chopped strawberries into the batter. Thank you so much for the quick reply…and the link. 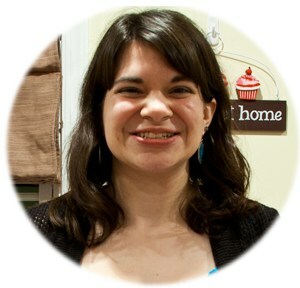 Your site is wonderful, a definite bookmark for me. Will the no-bake cheesecake work if I replace half of the amount of the full fat cream cheese with low fat cream cheese? I haven’t used low fat cream cheese, but I imagine the texture would be the same. Yes. You may also see it labeled as confectioner’s sugar. What kind of cream cheese did you use? 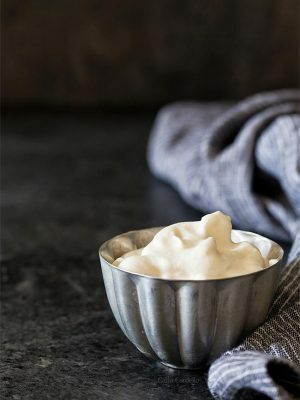 Sometimes when you use low fat or fat free cream cheese, it tends to be watery compared to full fat cream cheese. 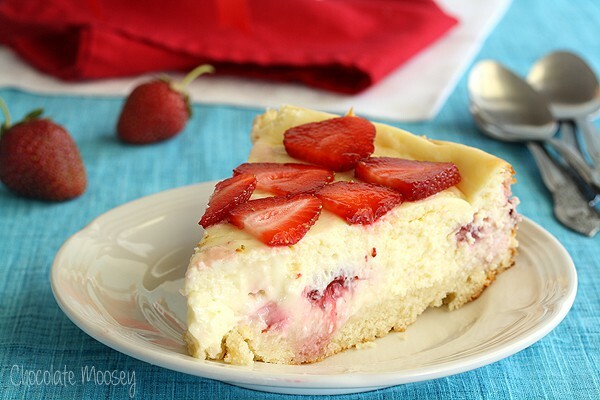 Yes, sorry, I was referring to Strawberry Shortcake Cheesecake, but now I see that my post appeared here.